Halloween is one of the most successful horror franchises of all time and has grossed a collected $366 million worldwide. 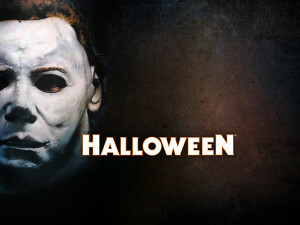 Since the original film, nine additional Halloween sequels have been created. This year, the franchise will commemorate its worldwide success with the release of a box set with all ten Michael Myers films in full blu-ray on Sept. 23, featuring never-before-seen and behind the scenes content. Halloween completes this year’s lineup for Halloween Horror Nights 24, which will include some of the most recognizable and terrifying names in pop culture, as well as original content from the masterminds who bring the event to life. In addition to Halloween, Halloween Horror Nights will include experiences inspired by AMC’s The Walking Dead, Robert Rodriguez’s chilling television series From Dusk Till Dawn, the cult sci-fi franchise AVP: Alien vs. Predator, Universal Picture’s upcoming film Dracula: Untold, Universal Picture’s The Purge: Anarchy, and SyFy’s Face Off – In the Flesh. This entry was posted in Haunted Attractions, Home Page, Home Page Slider, News and tagged Halloween, Halloween Horror Nights Orlando, Michael Aiello, Universal Orlando Resort. Bookmark the permalink.